Cosmetic industry in Kingdom of Saudi Arabia is growing at rapid pace and standard of living of rich in the country is virtually incomparable to any other country in the world, which is the major factor for the growth of premium cosmetic products. Cosmetic industry growth is majorly driven by young and aspirational population who want to invest in grooming, getting attractive appearance and maintaining their health in the process. As the region is highly conscious about the ingredients of the products, there is as significant demand for ethical and natural cosmetic products. Demand for such products pushed the international and local market players to develop innovative products in order to sustain market competitiveness. More women are now working in Saudi Arabia than ever before, growing the disposable income and boosting the sale of more premium cosmetic brand products. Goldstein Research analyst forecast the Saudi Arabia cosmetics market to expand at a CAGR of 11.4% during the forecast period 2017-2025. Moreover, the market is projected to reach USD 6.8 Billion by 2025 owing to growing market for natural products, personalized products and services. The report covers the present ground scenario and the future growth prospects of the cosmetics market for 2017-2025 along with the market players’ analysis. We calculated the market size and revenue share on the basis of revenue generated from major players in the Saudi Arabia region. Saudi Arabia cosmetics market is forecasted on the basis of revenue analysis, product benchmarking and strategic developments of key market players. Based on product type, premium fragrances and perfume accounted for the lion market share of more than 30% of Saudi Arabia cosmetics market followed by hair care and skin care products in 2017. Further, the skin care products are expected to be the fastest growing segment at a CAGR of +16% during the forecast period. Saudi Arabia Cosmetics Market Outlook 2017-2025, has been prepared based on an in-depth market analysis from industry experts. 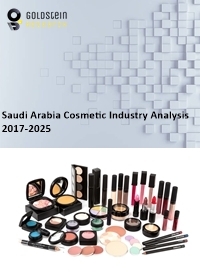 The report covers the competitive landscape and current position of major players in the Saudi Arabia cosmetics market. The report also includes porter’s five force model, SWOT analysis, company profiling, business strategies of market players and their business models. Saudi Arabia cosmetics market report also recognizes value chain analysis to understand the cost differentiation to provide competitive advantage to the existing and new entry players. Our Saudi Arabia Cosmetics market report comprises of the following companies as the key players in the Saudi Arabia cosmetics market: Arabian Oud, Al Quraishi, L’ORÉAL, SHISEIDO, UNILEVER, ESTÉE LAUDER, PROCTER & GAMBLE, LVMH, Coty, Chanel, Dior, Guerlain, Clarins, Clinique, Lancôme, Beiersdorf, MAC, Revlon and Avon Products. According to our Saudi Arabia cosmetics market study on the basis of extensive primary and secondary research, one major trend in the market is growing market for natural and personalized products in Saudi Arabia region. For instance, in Saudi Arabia region there is a growing interest in and demand for halal beauty products. As the region is majorly constitutes Muslim population, these products gained huge popularity in the region among consumers. These products are not exclusively or limited to Muslim community only, these products have gained market among the Non-Muslim consumers also, which is the major factor for the growth of halal cosmetics and vegan cosmetic products in the region. According to the report, major driver in Saudi Arabia cosmetics market is high disposable income of people in the country and growing number of working women. International bestselling cosmetic products are closely associated with social status and therefore highly desirable in the country. Further, the report states that one challenge in Saudi Arabia cosmetics market is maintaining the integrity and authenticity of particular cosmetic products such as halal cosmetic products in competitive market. Saudi Arabia constitutes an enormous group of consumers, representing various different cultures, which may result in different consumer behaviors, and creates huge challenge for market players to develop their products accordingly.